Mall of America is the largest retail shopping mall in the United States with more than 2,779,242 million feet of retail space (not including the amusement park), over 520 stores, 50 restaurants and Nickelodeon Universe®, the nation’s largest Nickelodeon® theme park with 24 amusement park rides including a roller coaster that winds around the enclosed atrium of the mall. There’s also a 1.2 million-gallon aquarium that features sharks, stingrays, giant sea turtles and other types of aquatic creatures. It has an amazing underwater glass tunnel that goes from one end of the aquarium to the other, about the length of a football field. It’s one of the most visited tourist destinations in the world, attracting more than 40 million visitors annually, more than twice as many people as the world’s largest amusement park, the Magic Kingdom at Walt Disney World . 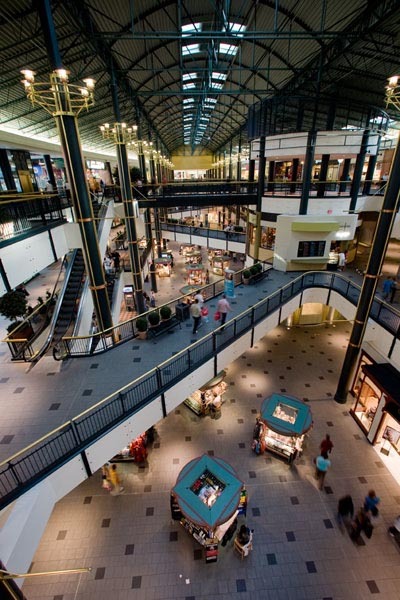 The Mall of America first opened in 1992 on the site of the former Metropolitan Stadium, where the Minnesota Twins and Minnesota Vikings pro teams once played. It was proposed and co-developed by the Ghermezian family of Edmonton, Canada who also developed the largest shopping mall in North America, the West Edmonton Mall. Original plans for the mall included an indoor submarine ride and a convention center, but these plans were later eliminated due to budgetary concerns. The Ghermezian family fortune was first made by importing Persian rugs. It then grew from their investments in oil. Most statistics provided by Mall of America. Hi um I was just reading about the Mall of America and it sounds awesome!!!!!! 🙂 I really want to take one of my friends with me to go to the Mall of America because I want to hang out there for my birthday. It won’t be celebrated on my birthday but it will be happening in the summer …….that is if my parents allow me to. I have been doing ton of research on the Mall of America and some hotels near it. It is a ton of work!!!! well hopefully I will Be able to go!!!! !